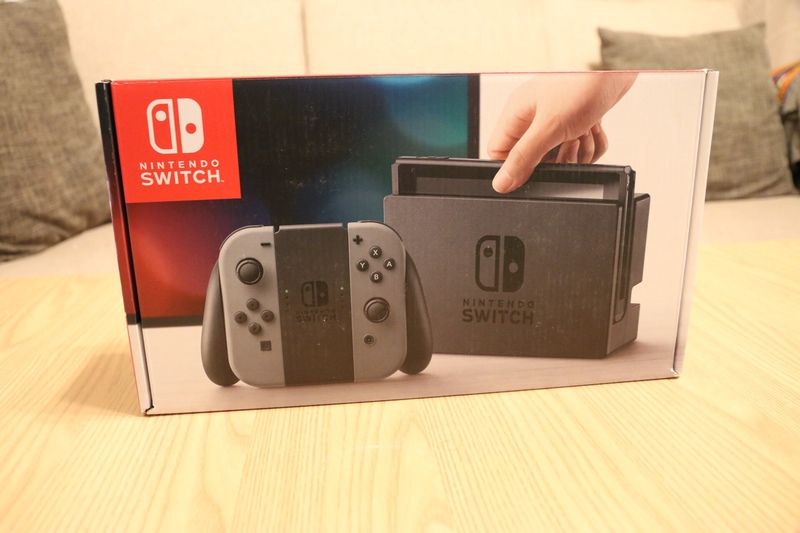 Salam to all PG members today I want to bring you Nintendo Switch, its so difficult to find these days it’s literally sold out in the US and elsewhere but I doubt its with consumers though as there are so many scalpers who have bought these by the dozens and are charging a lot. 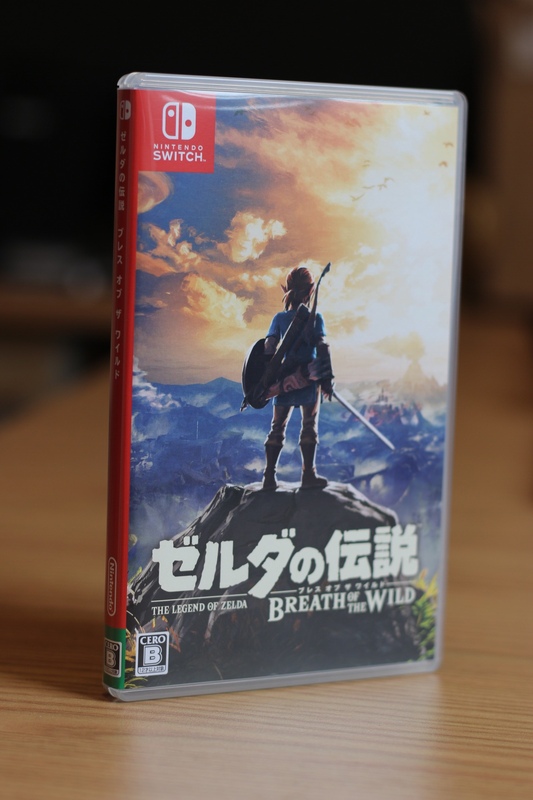 I was able to get one from Japan luckily its region free not like the New 3DS XL that I bought which had to be from America to have english interface and games…as most of you already know that I am living in Beijing so American prices and supplies dont apply here its more like buying things in Pakistan where we are always paying a premium on top. I am going to give me brief overview / review of the console and compare it to what I already own and what i think of it as I want to help others make their decision whether they should buy it or not or when is the right time to buy, what to expect quality wise etc. NOTE: I HAVE ONLY OWNED THE SWITCH FOR ABOUT TWO DAYS NOW SO WHAT YOU WILL READ BELOW IS QUITE AN EARLY IMPRESSION BUT I WILL TRY TO BE AS DETAILED AS POSSIBLE BECAUSE MOST OF THE THINGS WILL REMAIN THE SAME THROUGHOUT. As you can see i went with the grey version of the console but to be honest i wanted to get the neon color scheme but the problem is that there’s a premium of about 3000PKR for that color which is ridicules because you can buy another set of joy cons in neon for 4500 Pkr so I’d rather wait and add an extra pair down the line because the rest of the console is the same and due to their interchangeable nature you’re not going to miss a thing. The screen is 720p and its one heck of a 720p maybe its the best HD screen i have seen to date mind you HD not FHD which is totally fine given the Tegra X1 that its rocking pushing a million pixels isn’t a problem, the colors are vibrant and viewing angles are great which will help playing outdoors. I haven’t played it outdoors yet because my case hasn’t arrived yet and I am not throwing it in my back back naked period. The screen isn’t overly bright but maybe i am just spoiled by the 6s+ and MacBook pro 2016 hehehe but it should do the trick as for me i will play it in the subway mostly so wouldn’t matter that much. The sound coming out of the back speakers is moderate to good I mean its okay its nothing like the ipad air 2 but pretty acceptable for its price point and primary focus which is gaming not media consumption. I haven’t tried the headphone jack but I suspect that my shure se846 will definitely hiss being super sensitive I will report back if they dont as it will be quite an achievement…for the record my xbox one elite controller hisses. I’d like to point out the placement of the speakers at the back which is quite good as it doesn’t get obstructed by your hands while you’re playing so its a plus. Well the only game I have is the zelda breath of the wild and its a pretty darn good looking game and since its a launch title which was simultaneously developed with the wii u I am guessing the developers can push it even further given they have to develop for a single platform much like GTA V which is still play and love to this day dont get me wrong it looks fantastic on PC but there are times it shows its limitations and a promise that it could’ve been better if it was made specifically for ps4/Xbone/pc from ground up. I have faith in the tegra x1 its one hell of a killer chip with maxwell gpu I mean yes its half as powerful as the vanilla ps4 but its light years ahead of 3ds and vita. The graphics will only get better with time as developers will spend more time with the switch and figure out how to get the most out of the system so fingers crossed. If all the games can look just as good as zelda if not better then I am happy as its good enough and that 720p screen will help push content at 60fps what else could you want on the GO!! It supports amibo !! Well I personally think they are cute even though to some pretty useless and just another way of milking customers but it is what it is. They give you some small bonuses in game and look cool on your desk or the shelf so it’s alright. Now Nintendo rates the switch anywhere between 3-6 hours which is pretty decent to me looking at how fast the battery drains on my 6s+ when playing something intensive such as implosion or bully even the gaming laptops suffer the same thing they dont last more than two hours on a charge away from the power outlet so if you can play breath of the wild caliber game on the go 3 hours away from the power outlet its cool also given the fact that it can be charged with a battery bank which are super common here so the battery life is decent. I didn’t do any extensive test on the system myself as i was busy writing this review rather than draining the battery lolz so i am taking the word on the internet and the minimum number by Nintendo I will report back if there’s anything out of the ordinary and if it doesn’t match or come close to those numbers. The joy cons are the product of all the best technologies nintendo developed over the years they are the wii nunchucks and wii u controller hybrid featuring HD rumble which i think is more of an evolution of rumble than anything revolutionary i still remember the sony dual shock controller for play station 1 back in late nineties….its good though maybe in future they will make more use of it but I doubt it will be much..i do like the trigger rumble feature in select games on the xbone elite controller. I wanted to compare it a bit to other controllers I own which are Dual shock 4, xbox 360, elite, 3ds and moga rebel for IOS. The analogue sticks work fine they dont have much of a height though which will take some time getting used to and they are concave just like dual shock 4 and are not so ideal as far as the grip is concerned for that I prefer the xbox controllers. 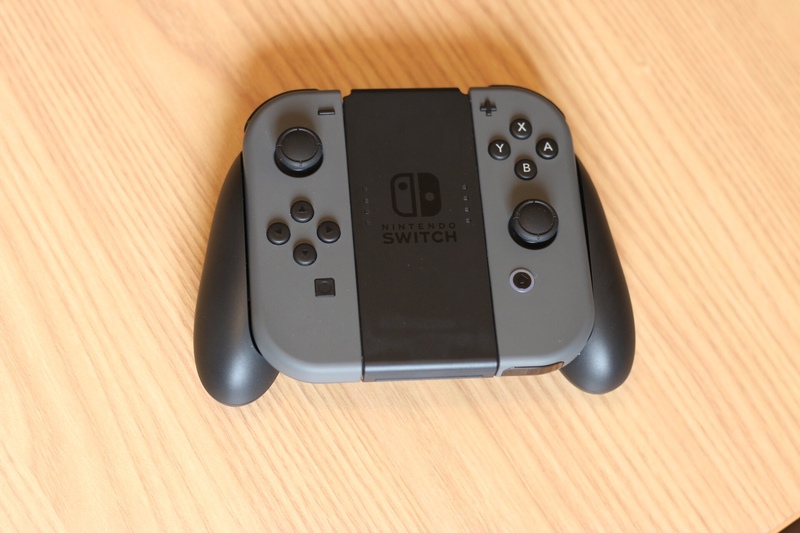 The shoulder buttons are small yet clicky and they will do the job however its the Directional buttons and ABYX buttons that really shine they feel sturdy and have a nice feedback to them I really like it they are not flimsy like 3ds or moga rebel. The analogue stick on right side gets in the way of hitting action buttons which isnt good i kind of like the layout on wii u controller but there was a video on youtube where this guy shared his idea why its the way it is and kind of makes sense as each joy con can be used individually as a separate controller so the analogue stick will be on the left hand side for that matter no matter which joy con you use so maybe nintendo had to sacrifice a bit. If I had to pick my favorite controller it will be the xbox elite controller i will take it over anything else even the scurf ones any day of the week I love it to bits and the fact that its a first party controller and fully supported by almost all the games makes it a no brainer. Well its just a dock all it does is take advantage of the USB C at the bottom of the switch and connect it to TV , USB devices, charge and house the console and I think its a neat idea and console looks quite nice sitting in there. I don’t plan on playing much on the big screen so I might just use it to house and charge the system so it’s alright. 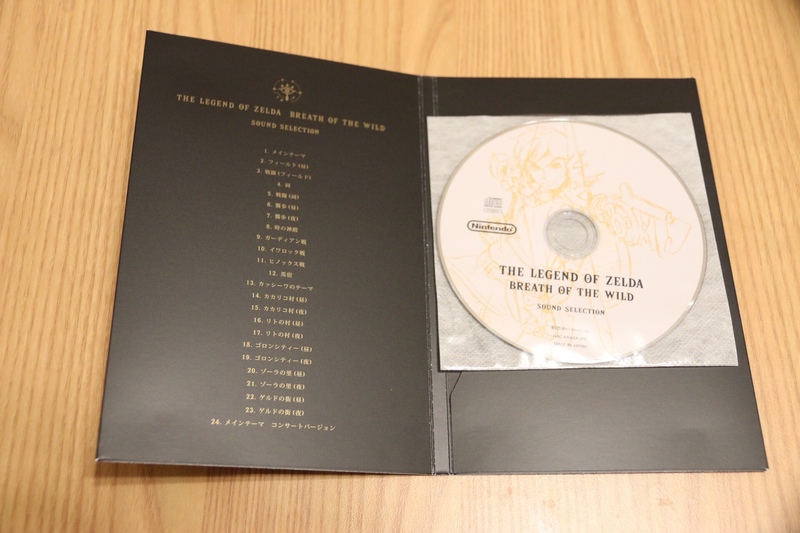 Now this is where its lacking the most I mean zelda is the only game that’s driving the sales on this console at the moment everything else is not worth paying the launch price I mean 1-2 switch should have been bundled with the console to show off its capabilities, splatoon 2 should’ve been there with the zelda as a launch title and there should’ve been a Mario Kart 9 coming out on April 28th not the wii u kart 8 on steroids. I dont know what I will be doing by the time I finish zelda the best bet is to wait for Mario Kart 8 and hope there’s something else worthwhile on the sides maybe the lego city which again boils my blood being a wii u port !!! The latest report says that there are only 3% developers that are working on switch which is scary because its the third party support that either makes or breaks a console nintendo has to work with the developers do whatever it takes to make sure they are on board its an epic handheld console in the making which can be docked to a TV easily as a bonus give me back those psp days I dont want to see it suffer like the Vita where only first party developers are interested or I should say forced to support the system. Owning a switch for the sake of zelda, Mario kart, super mario and smash bros is enough but they are first party titles we need third party support/ exclusives as well imagine naughty dog like developer making an exclusive IP for the switch or someone like Kojima bringing death stranding kind of epicness to the system damn nintendo damn get those developers on board. Could you imagine that someone would actually write about wifi for a device in this day and age separately? Well guess what the wifi is so crap that’s worthy of a mention here as I was getting 1 to 2 bars in my room which is next to the router. I was getting crap speeds no matter where i was I googled the fix and there was some guy who said changing wifi channel to something like 11 solves the issue well I opened up the wifi settings of my router and vola everything is in Chinese and I am like WTF!! Anyways due to the nature of these things the numbers weren’t that hard to find so i messed up a bit and it kind of worked and fixed the issue so now i am getting 2 bars in the room and full 3 bars when I am within 2 feet of the router i am not kidding literally its two feet you turn right or left it loses a bar lolz. I have a generic router there’s nothing to write home about so maybe in a different environment with a better router this issue could be completely solved but again every other device I own works perfectly fine with full signal strength throughout the house. The issue is widespread so Nintendo might fix this or improve the situation in future updates. It comes with 32 GB storage which is plenty by Apple standards but honestly quite less for a console when a single game could weigh in 15 GB it can get very cozy given the fact that you get 25GB usable storage and save games will pile up over time along with media content so micro sd card is a must which are cheap both in quality and price and its because of this I dont like them as such but they are a must if you are going all digital or even somewhat digital. Yes people do have digital libraries I am all digital on PS4 with 30+ games and 250+ on PC but on the switch I will keep it all physical. Now this is where its at its ugliest as most of you already know that the systems are sold out everywhere and scalpers are selling them on profit it makes it a very bitter pill to swallow given the fact that there’s only one game worth playing on the system and the next one you desire is coming in December like nine months from now. 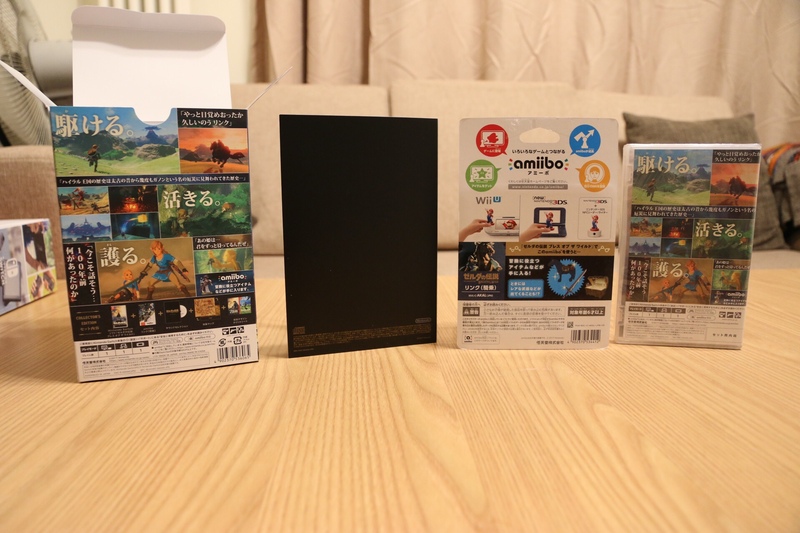 The MSRP is 300$ in the US since we can only import this kind of stuff in China we have to pay 50$ or so premium on top I dont know how much are the taxes in the US and how much did they actually pay for this system in Japan but under normal circumstances you pay 50$ and due to the cursed scalpers I pad 50$ on top of 350$ which made it 400$ or so shipped to my doorstep now this 100$ is the price you have to pay for getting something that isn’t available where you live and getting it with in the first weeks of launch I could’ve saved those 50$ if i had waited two months or so but to me personally it didn’t mattered so pulled the trigger knowing and calculating how much I am paying and for what. The collectors edition is 100$ plus as well so with a screen protector and carrying case etc you are looking at 530$ or so figure which sounds crazy given the fact that its all done to play that legend of zelda lolz but honestly its one of the best systems Nintendo has ever made I love it I am happy with my purchase. Well I think its a must buy for any Nintendo fan out there its a must for someone who wants portable gaming like myself when I am working 7 days a week and hardly get time to play all those beautiful looking games on a monster PC and a killer display. This thing is not a replacement to your PS4/Xbone its rather a compliment to the gaming experience I can see people having all the three consoles in one home where they can enjoy the exclusive experiences that each console has to offer mind you the key work is EXCLUSIVES…Uncharted, horizon zero dawn, 1866, until dawn etc just to name a few for playstation, gears of war, forza horizon etc are for xbone ( btw I dont own a xbone just yet because its gimped I will definitely get project scorpio I play gears and forza on PC windows store all the way), all the multi platform and FPS on PC, zelda, mario, smash bros etc on the Nintendo I mean you get the idea its this exclusive content that defines a system. Timing is very crucial in making your decision do you want to play the zelda right now? I mean really like now? Okay go ahead and buy one but if you can wait if you have other priorities if you are slightly tight on the budget just simply wait you can definitely get a very nice deal on this thing by the holiday season or you might get a pre owned spick and span system two to three months down the road its pakgamers after all the best website in Pakistan to get your gaming stuff. If you can shell out those 100$ extra without missing out on anything then by all means go ahead and get one yourself its worth it but if you are looking for best bang of the buck then wait till you can find a better deal. The collectors edition will come down the road so you can sell this vanilla console and get one of those later on depending upon how much it ll mean to you but waiting months and months to buy a collectors edition is not recommended…it’s actually something I am doing with my family PS4 pro purchase I am using my vanilla console for now and I will get a collectors PS4 Pro if I like one so waiting is made easy this way. Maybe there’s a cool God of War edition or The last of Us 2 who knows.